"I will praise Thee: for Thou hast heard me, and art become my salvation." As many of you know, we started out the year 2017 with some very troubling news. and she had collapsed at the Emergency Room. What followed were many months of me asking you, dear friends, to lift her and her little unborn baby in prayer. You were faithful to pray. He was faithful to answer in such a miraculous way. The result ended up being one of the major highlights of the year, when on July 5th, one super-special little man, named Eli, made his grand entrance into our family and lives. 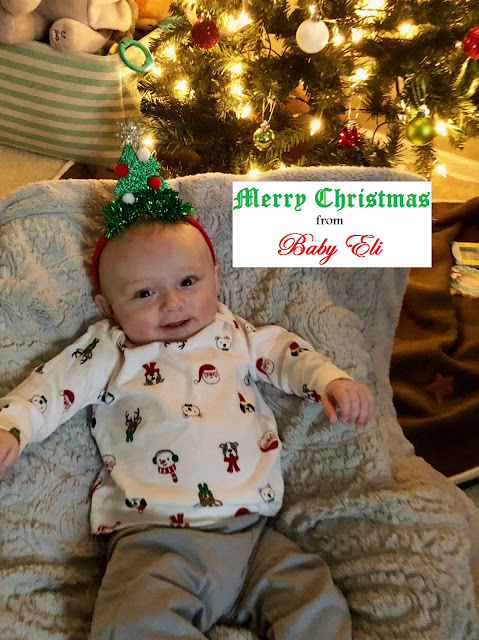 and, now, he is enjoying his very first Christmas! Isn't he just a little doll? I keep saying he just gets cuter by the day! in answer to all of our prayers. Things could have turned out so differently, and I never, ever take what God did for us for granted. He is such a dear baby, and oh, the brightness he brings into this world! Today, he decided he would try to get out of his chair, while no one was looking! This is what happened when he realized he was caught red-handed!!!! He is downright hilarious and has such a personality!!! We will never cease praising God for the way He intervened on behalf of this little guy and his Mommy. She still has some residual health concerns, but, thankfully, for the most part, all is well, praise God! I've never done book reviews on this blog in the past, but when someone reached out to me recently and asked if I would review a book called, "Jesus Loves You! ", I couldn't refuse. Any way that I can spread the message of His love...well, that is a-okay with me! So, I got the book in the mail, and I just had a chance to sit down and read it tonight. This is my honest review, and I received no compensation. 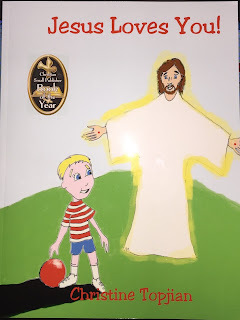 At first glance, I thought this book would be geared towards very young children and could be used as an introduction to who Jesus is and His love for them. However, when I got into the reading of the book, I realized that the writer refers to events that happen much later in life and are more of a mature nature. There are references to asking a girl to dance, a "first romantic kiss", a painful relationship break-up, a "co-worker who you thought was totally cute", and marriage to "that cute co-worker". The author also refers to aging parents. My personal opinion is that the book may not be age-appropriate for small children. and I don't think they would, at that point, find the content relevant. The intention of the message of the book is that Jesus loves us so much, and He remains with us all throughout life. The book is written in a very basic way, and I think young children could understand the words, but the intended message would definitely be best received by those who have experienced life, firsthand, and who have already walked through the stages mentioned. The illustrations are simplistic, but colorful, bright, and attractive. It is 13 pages long and is a quick read. All in all, I would most recommend this book to older teenagers and adults who are learning about Jesus for the first time. 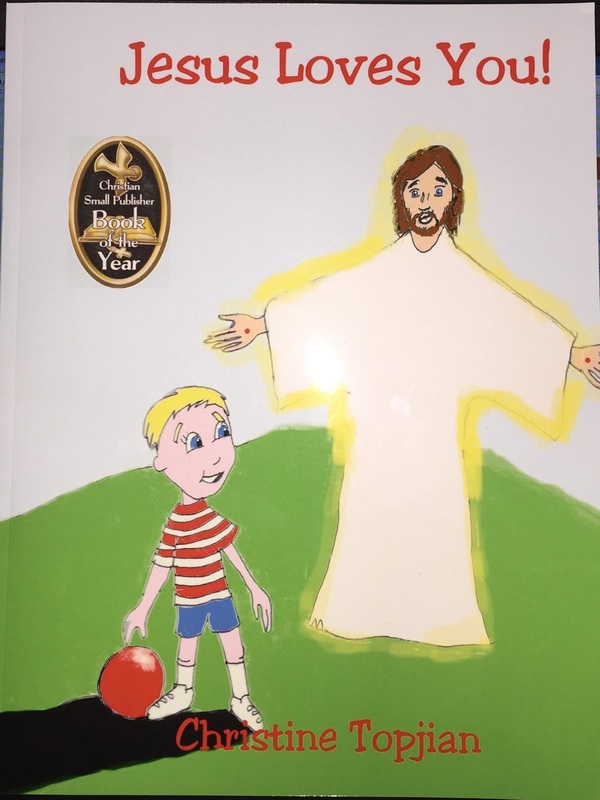 The book is published by Lighthouse Christian Publishing and can be purchased HERE. I also wanted to share an update on my brother-in-law, LD, who is battling stage 4 lung cancer. as he continues more radiation treatments and will soon start chemotherapy. We truly appreciate all of the prayers you have prayed on his behalf, and we are still believing God to send the miracle he needs. Thank you so much for continuing to pray for him! LD is at the emergency room in very serious condition. In closing, I wanted to share one of my new favorite Christmas songs. I think this is the first year I remember hearing this song, and oh, my, as I listened to the choir singing it at church the other night, I was so moved. The message just makes me cry. I hope you can listen to this version by "4 Him" I found on youtube. I hope all of you are enjoying this wonderful Christmas season!! I love and appreciate each one of you dear readers, and I am praying for each one of you as I type these words. It was such a blessing to read about little Eli! I'm so grateful to God that he is a healthy, beautiful baby boy. 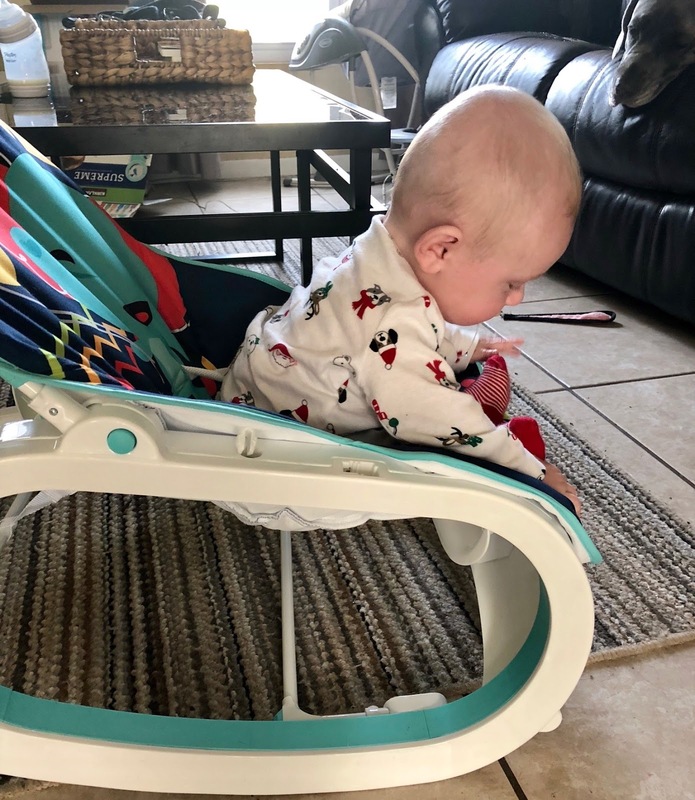 How is his mother doing, if I may ask? Many blessings. Abigail Joy. ~smile~ Yes, I am Abi Ant. I changed my whole profile and blogger domain to a different name last year because I wanted a more mature or elegant look. I'm so glad that Kristen and the baby are well! Oh my! Little Eli is so precious. God is SO good. We prayed and hoped but never knew for sure what the outcome would be. Look at that sweet little boy now. I’m so happy for him and his family. I am praying for LD and tonight is our churches prayer night where we all meet together to pray. I will give his name to the leader so we will all be in prayer for him with one voice this evening. Thank you for the song. I haven’t listened yet, but I will tonight. Now I have to finish dinner so we can eat as soon as Dennis walks in the door and be at church by 6:00. Isn't he just the sweetest, little thing? Can you tell I am biased? LOL! Yes, praise God, we prayed, and we didn't know for sure what His will would be, but oh, how blessed we are! Oh, sweet friend! THANK YOU for praying hard for LD. Things are not looking very good for him right now. To know that you and your church will be praying tonight means so much to us! God bless you. Sending much love and gratitude to you! Oh, Eli is so precious!! :-) I'm so thankful he's here. I hope Kristen is doing OK as well! I'm so sorry about LD! Will keep him in prayer! I love that song too. I sang it in church yesterday. Babies are always a blessing, aren't they? And wee Eli is more especially so :) I will pray for LD. I also thank you for keeping my mother in your prayers. She is doing so well and says she feels the best she has ever felt in her life, another blessing. God is so good to us. Yes, babies are so precious! And, I have to agree...little Eli is just extra, extra-special! But, I am quite biased, if I must say so myself! LOL! Thank you ever so much for praying for LD...he surely needs the prayer so badly. You are SO welcome for the prayers for your little mother. It just blesses me beyond words to hear you say how wonderful she is feeling! PRAISE GOD!! He is SO faithful! All glory be to Him. I trust you and your little mother and family have a wonderful Christmas, my friend! Thank you for sharing Eli's photo. We certainly prayed didn't we? Praying for LD now. Hugs to you all! Oh, YES, my friend, we surely prayed!! And, GOD! He certainly answered!! Both for little Eli and Kristen...and for YOU, too. He has allowed this year to be rough, and it still is rough, but we don't have to look back very far to see how much He has answered prayer, too. Your prayers for LD are most appreciated. God bless you and your family with a wonderful Christmas, too!! So sweet to see photos of Eli! He is so adorable! Precious little Eli is an answer to prayer-so thankful to see his photo and hear that his momma is recovering. Will continue to pray for her as well as LD-may His mercy cover him. Great review! Oh, he surely is an answer to prayer! We cannot thank God enough for the miracles He has performed this year! Oh, thank you for your prayers for LD...they are SO appreciated, sweet friend. Sending hugs back to you, along with many wishes for a Merry Christmas for you and your family! Cheryl, Eli is so precious. He is definitely a miracle. Thank you, dear Kelly, for your continued prayers. You are a blessing, my friend. Merry Christmas! Oh Eli is so cute! I want to march over to his house and kiss him! Oh, my! I know what you mean! Such a dollbaby and such a bright spot in our lives! Babies are such a blessing. Merry Christmas to you and yours, my friend! Love those pictures of the miracle baby! How awesome! We need more books like that one for the future that we're praying for our children. As you know, I'm praying for LD, sister. Aww...I am so glad you enjoyed the pictures, Floyd! Your prayers for LD and your constant support, friendship, and encouragement are invaluable gifts to my family and me. We appreciate you so much and hope you and your family have a blessed Christmas! I am praying often for you, too. Oh what sweet photos of little Eli! His life and his Mama's life are such miracles! Thank you for giving us the update on their testimonies. I am praying for Ld now, and for all of your family during this trial. May Jesus be so near to all of you! Blessings and Love to you! Thank you ever so much, sweet Bettie! You are so right...to look at Kristen and Eli is to look at walking, breathing miracles...testimonies to the saving, wonder-working power of our Almighty God. There is no other explanation as to how both of them are here and alive and doing so well. God is so awesome and worthy of our praise! You will never know how much we appreciate your prayers for LD. We know the same God who healed Kristen and Eli and SO many countless others is still in control, and He is able to do exceeding abundantly above all we can ask or think in LD's case, also. Our eyes are surely upon Him. Sending love and hugs to you this Christmas season, dear friend! Oh, isn't he precious, though? He surely is a miracle, indeed! Yes, dear friend, LD's condition spiraled downward even more yesterday, and we are just pleading with God to intervene and grant him a healing Christmas miracle. I send many hugs and blessings back to you and trust Jesus blesses you and your dear family with a wonderful Christmas, also! Your life is never static my friend. 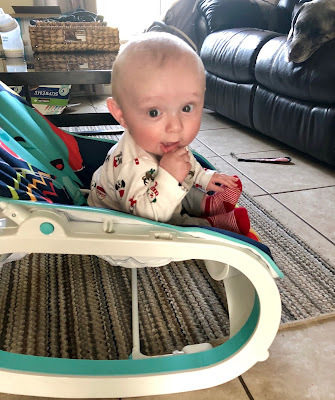 That little Eli IS a doll -- oh that little face -- caught! Haha! I'm praying for you all as you struggle through this time with LD - what a difficult path you all have traveled and continue to. I'm so glad I reconnected with you today. Baby Eli is one of many I have prayed for and I'm glad to see him celebrating Christmas. I have had the honor of seeing not only Eli, but Emma Grace, and at least four other babies with miraculous results. This is the worth more than any gift, seeing Jesus at work and loving the little children. If you'd like to read about Emma Grace, I can send you a link. I will pray also for LD, has anyone given him daily communion? I have seen it heal and hear many results of people being healed that way. God bless and Merry Christmas, hugs to Eli. Oh, how sweet of you, Rebecca! The prayers you have prayed for little Eli mean so very much to us! God surely answered! Yes, please do send me a link about Emma Grace. I LOVE to read of God's miracles! I am not sure if anyone has given LD daily communion. He is a strong believer in the power of prayer and has served the Lord for many years and has a lot of faith. God bless you and yours this Christmas season! Thank you ever so much for reconnecting and stopping by! This posting is such a glory to God!! Our prayers continue to be with you and your family. Cheryl oh I just love the pictures of your nieces son! He truly is such a cutie. Oh what a joy he must be to your family. This just made me have such a big smile. Thank you so much for reminding us of God‘s mercy to your niece and her son. May the Nee Year bring you the desires of your heart in Christ Jesus.